Students and teachers of the Jewish Real Gymnasium in Vilna in the 1920s, including Moyshe Kulbak, H. Leyvik, and Yakov Gershteyn. Photograph by E. Cejtlin (YIVO). In an effort to pool both the acquired wisdom and unanswered questions that arise from our contributors’ work in the classroom, In geveb regularly polls Yiddish instructors on topics related to Yiddish pedagogy. The responses to these polls offer a cross-section of the opinions, approaches, and experiences of instructors from Los Angeles to Tel Aviv, both new teachers and those with a lifetime of experience, working in children’s programs, university classes, and continuing education courses. In this “Loyt Di Lerers” forum, we wanted to learn about the way that instructors of Yiddish language and culture present themselves and their personal opinions and histories to their students. We asked, “When and how do you bring yourself to this work? What personal commitments and circumstances do you share with your students? How do your students get to know the person teaching with Yiddish?” In geveb is grateful to those who participated in this poll and who helped to shed light on this topic. In any classroom situation, instructors need to navigate between their private selves and their public personae. They balance between between self-disclosure as a way of inspiring, motivating, and connecting to students; and the desire to maintain boundaries for the sake of professionalism or simply their own wellbeing. Not only do instructors consider to what extent they should share about their personal lives, academic trajectories, past mistakes, and day-to-day experiences, but they must also must weigh whether and how to reveal their personal convictions about, experiences with, and feelings toward the material they teach. Although the particular intersection of academic discipline and (assumed) personal affinity or connection is heightened in Yiddish, the question of balance is applicable for nearly all subjects and teaching situations. Instructors manage student curiosity, teach from their own passions and convictions, and struggle over whether and how to make their beliefs known to their students while navigating the mutable power dynamics of student-teacher relationships. They make choices about whether and how well their students will get to know them as a person. How do instructors teaching with Yiddish navigate these struggles? 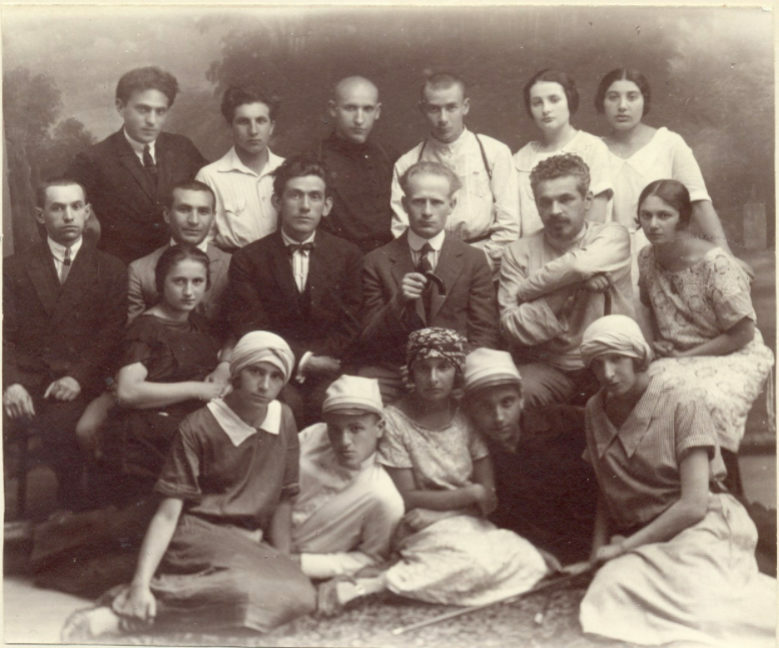 Because of the traumas of Yiddish history and the nostalgia felt for it by the contemporary Jewish community, instructors may feel pressure to relate to Yiddish in a particular way, or to share about themselves and why they care about Yiddish when such questions might or might not arise for teachers of other languages and cultures. Do they bow to this pressure? Do they willingly accept it? Or do they resist? And what are the stakes of these questions for instructors who teach with Yiddish? 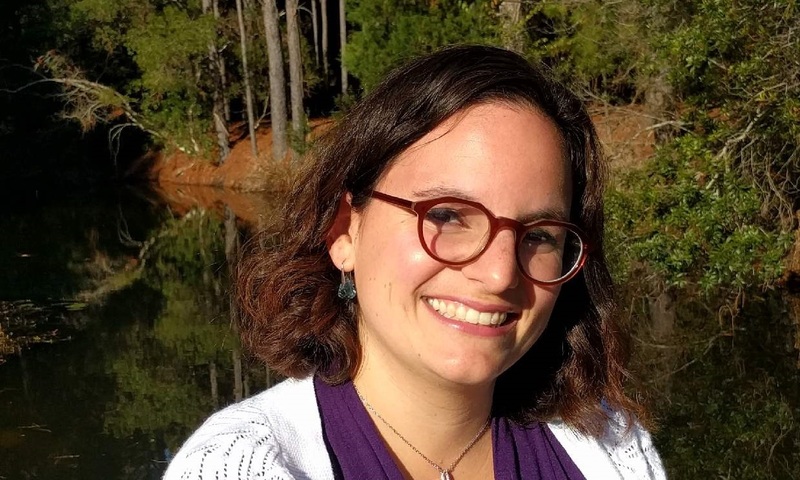 Jenna Ingalls, in her essay “Reflections from a Non-Jewish Instructor of Yiddish,” explains that some students “view me as a conduit to their culture and heritage” and it can be hard for her to acknowledge her own positionality as a non-Jewish instructor. How do instructors manage their positions in relation to the material they teach, and (how) do they convey those positions to their students? Talking about oneself is a basic part of language learning and language instruction, and the language classroom is inevitably one of personal exchange. Teitelbaum explains that she does not share things about herself that are “emotionally loaded” because that “would prevent me from serving my professional role as facilitator of my students’ learning.” The classroom is a public arena and the teacher must conduct herself as a professional. Nevertheless, there is room for a certain kind of intimacy that comes with sharing about oneself, and this creates comradery and facilitates language learning. What teachers share about their personal experiences and identities depends largely on their relationship to their students and the context in which they teach. Students who have gathered in an academic context for a semester-long learning experience have a different set of relationships to Yiddish language and culture, and different goals and expectations, than students gathered in a synagogue or community center expressing an affective relationship to the Jewish past or their own Jewish identity through learning Yiddish. In some contexts, teaching Yiddish can be intensely personal. 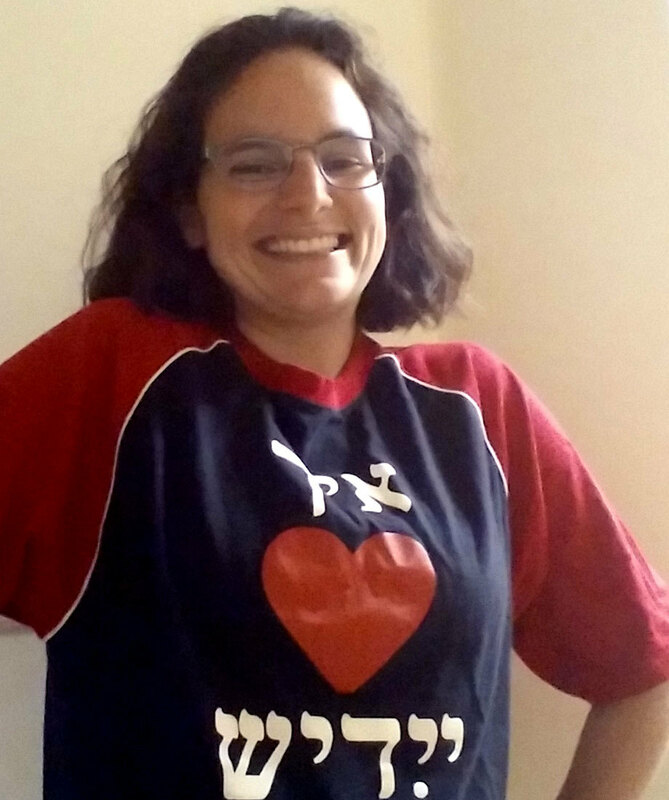 As Helen Paloge, a Yiddish teacher based in Montreal, describes of her first experience teaching Yiddish, in a kibbutz, “For almost everyone, Yiddish had a direct emotional impact. Each lesson was laced with gasps and sighs and tears and goosebumps as people suddenly remembered a word or expression out of their or the collective past, or a scene with their old bubbeh and zeideh, or a whiff of old world cooking, or an embrace the last time they saw their mother and father. And the same happened to me. I was surprised by all of it, at every lesson—how Yiddish was still alive for each and every one of us: young, old, immigrant, native born, Holocaust survivor, veteran kibbutznik, salt of the earth Sabra or Diaspora Jew.” For this community, learning Yiddish was an emotionally-laden exercise in self-discovery and memory, and the teacher herself was on a personal journey through teaching Yiddish. As someone who teaches in a variety of settings, I find that the extent to which I share about myself—and what I share—varies greatly. But overall, I tend to be forthright and casual in sharing about myself. Certain personal details find their way into my teaching whether I want them to or not: when, as an adjunct, I brought my young children to the university campus so that a babysitter could watch them during my lecture, I inevitably ran into students while pushing a stroller, and my personal and professional lives could not easily be parceled out. I would never refuse to answer the question “Why did you decide to study Yiddish?” but, frankly, the answer isn’t such an interesting one, and I don’t dwell on it. I hope that by sating students’ curiosity about me from the start I might help them more quickly to realize that the material itself holds much more interest. Most of the instructors who responded explained that they do share with students about their personal commitments to, and histories with Yiddish, and about themselves, to the extent that it is useful for the teaching they are trying to do in the classroom, or in other interactions with students. Although Mindl Cohen rarely offers information about her own family history in her Yiddish language classes, she maintains one exception: “I like telling students a story about how my great grandfather and great grandmother met while organizing support for the victims of the Triangle Shirtwaist Factory Fire, including a fundraiser with Morris Rosenfeld as the guest of honor. I tell that story after teaching “Mayn rue plats” and talking about a trip I took to Rosenfeld’s hometown of Boksze, Poland. I hope that by sharing this personal connection I offer students a way of bridging the gap to material that otherwise might feel very distant.” (You can see Cohen’s exercise on teaching “Mayn rue plats” here). 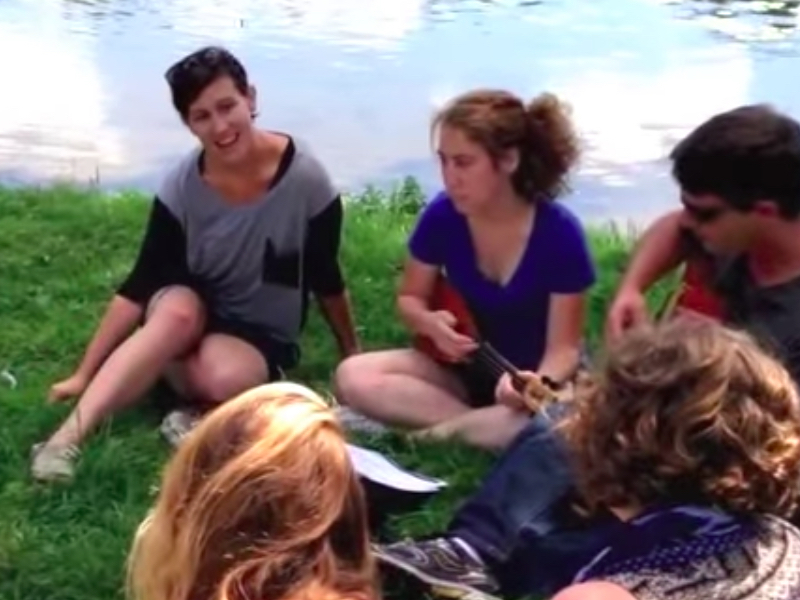 Mindl Cohen singing “Mayn rue plats” with students in Boksze, Poland on the Helix Project. As for me, I do not tend to reveal much about my family’s history with Yiddish, or about what brought me to it, but I regularly do tell students what I am currently working on, or what texts or authors I love, giving reasons that have to do with personal taste rather than an abstract idea of literary worth or historical importance. Last semester I brought a draft version of something I am translating to the Jewish American Literature class I was teaching, and invited students to workshop it with me. I wanted the students to see translation, and scholarship, as something accessible, something that is written and thought through, drafted and re-drafted, and not something that simply exists in already-printed books and journals. Why Do You Share? Why Don’t You? The question of how much to share with students is difficult in any field: What is the value of personal relationship-building, as compared to professional distance? How much do students need to know about our own biases, preferences, histories, knowledge. and love of the material in order to appropriately evaluate the information we share with them? Do we need to (or can we) ignite students’ curiosity about the material by telling our own stories of connection with it or discovery of it? As Hannah Polin-Galay puts it, “There’s no right answer.” In bringing together these voices from the field, our aim has been to provide a few different models and to think about whether and how the self and the personal can or should be a tool in an instructor’s toolbelt, in and beyond the Yiddish classroom. 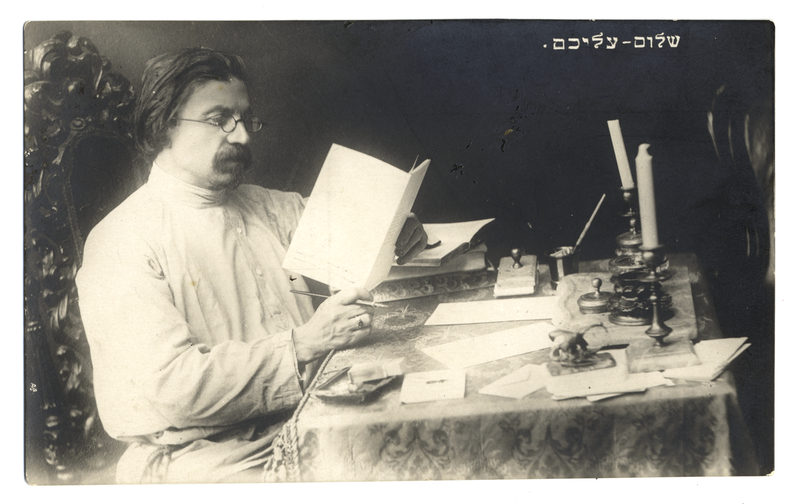 If you teach Yiddish, teach with Yiddish, or teach about Yiddish, add your voice to the discussion in our ongoing poll, on teaching with Sholem Aleichem. And if you wish to share your opinion on the topic presented below, please do so! Kirzane, Jessica. “לויט די לערערס | Teachers Weigh In: The Person Teaching With Yiddish.” In geveb, January 2018: https://ingeveb.org/pedagogy/the-person-teaching-with-yiddish. Kirzane, Jessica. “לויט די לערערס | Teachers Weigh In: The Person Teaching With Yiddish.” In geveb (January 2018): Accessed Apr 21, 2019. 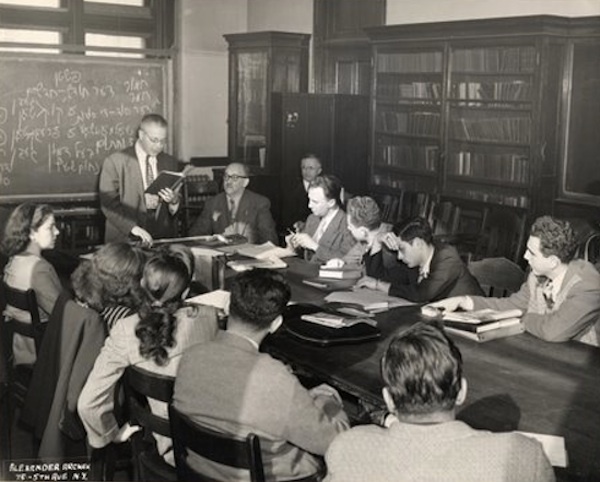 Jenna Ingalls, the “first gentile instructor of Yiddish at UC Berkeley,” reflects on Jewish (and non-Jewish) identity in the Yiddish classroom.